Roll off dumpster rentals to support our customers needs. Call to schedule a delivery today! 10, 15, 20, 30, and 40 Cubic Yard Dumpsters. We also offer a junk removal and loading service. How our dumpster service works - Just give us a call and we can discuss our dumpster availability and make an appointment for your dumpster to be delivered. As a courtesy we will call you 30 minutes before our arrival on delivery day. 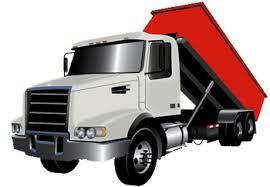 Once onsite we will work with you on the placement of dumpster, receive payment, and give you a receipt. After the arranged rental period we will pick up the dumpster. If you need the dumpster picked up sooner or need another dumpster just call. Dumpster rental is that easy. The price includes a one-time delivery and pick-up for selected dumpster size along with standard disposal, fuel, and taxes. NO HIDDEN FEES. We can not provide an exact quote until we see the material going in the dumpster. Pro Container Service will then provide an up-front, all-inclusive quote before we begin working. Most important question: Are there any extra administrative, delivery, or fuel charges when renting a dumpster? Absolutely NOT! When you receive a quote, that is the price you will be charged. The only time the price can change is if hazardous materials are placed in container, the weight of material exceeds the tonnage limit for the dumpster size, or if you rent outside the typical 7 day rental.